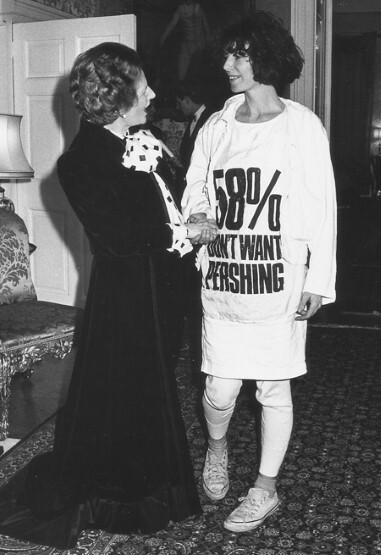 Katherine Hamnett snuck an anti-nuclear protest t-shirt into a reception in 1984. RIP Jean Harris. Killing a cheater and escaping in a mink coat is pure SCUM.